Palms are a landscape staple in warm, temperate climates worldwide. But these stunning and statement-making plants are large, expensive, difficult to install, and create unique design challenges. In Designing with Palms, palm expert Jason Dewees shares every major aspect of designing and caring for palms. This definitive guide shares essential information on planting, irrigation, nutrition, pruning, and transplanting. A gallery of the most important species showcases the range of options available, and stunning photographs by Caitlin Atkinson show examples of home and public landscapes that make good use of palms. 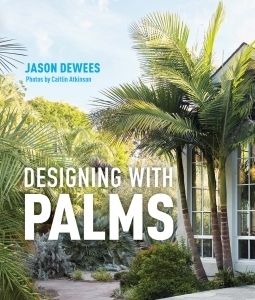 As the definitive guide to choosing and using palms, Designing with Palms is a must-have for garden and landscape designers and nursery professionals who want to integrate these valuable, underutilized ornamentals.